Final Exercises ceremony for the College and Graduate School of Arts & Sciences will be on Saturday, May 19, 2018. All other schools will participate on Sunday, May 20, 2018. The Lawn ceremony will start promptly at 10 a.m., with school and department ceremonies taking place in the afternoon on both days. 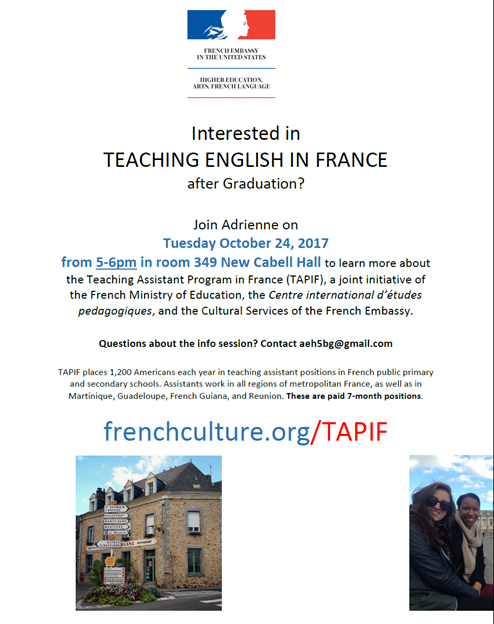 TAPIF Info Sessio: " Interested in Teaching English in France? " 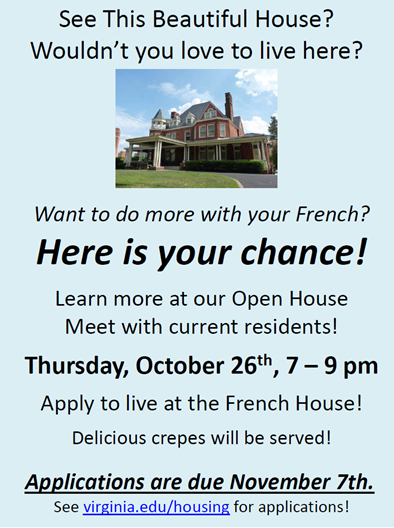 Read more about TAPIF Info Sessio: " Interested in Teaching English in France? " "Professor Tsien's book 'Le Mauvais goût des autres' is reviewed in 'Le Monde. Read more about "Professor Tsien's book 'Le Mauvais goût des autres' is reviewed in 'Le Monde. "Pierre Sénéclauze and the Alliance Francaise: French Gastronomy + cheese tasting"
Read more about "Pierre Sénéclauze and the Alliance Francaise: French Gastronomy + cheese tasting"